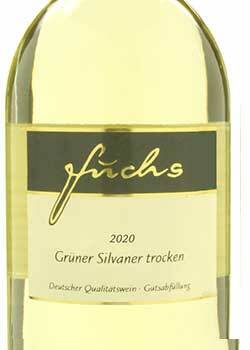 This Silvaner tastes very dry and has decent flavours of pear and lime fruit. Its acidity is especially smooth. Silvaner dry is an universally light and delightful wine which goes especially well with fish and seafood, meat, poultry, rice and pasta, and vegetarian dishes. It is especially well-tasting together with asparagus.